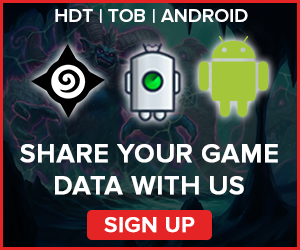 A weekly Hearthstone Meta Report based on data from over 120,000 games. 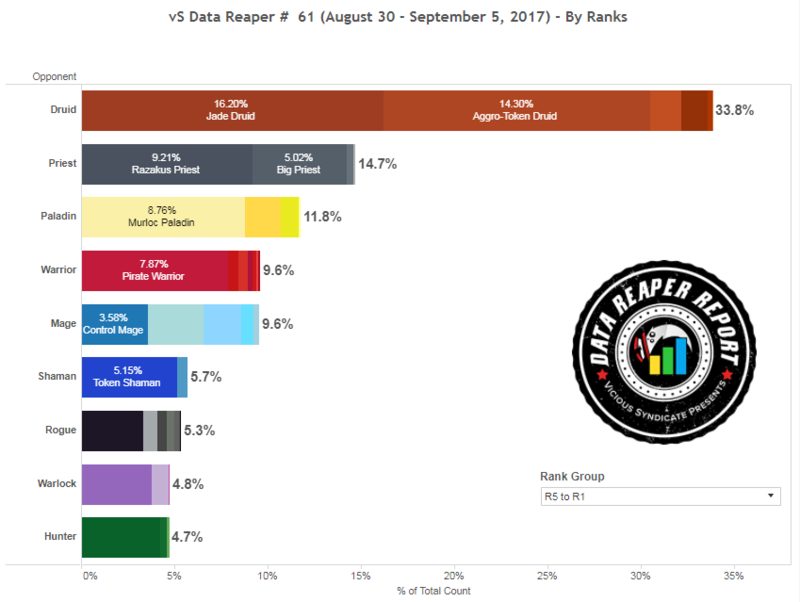 Welcome to the 61st edition of the Data Reaper Report! Our Data Reaper Project, including the Data Reaper Live (Beta) has 4,700 active contributors. Without them, this project would not be possible, so we’d like to thank all of our contributors for their help. We can observe a small dip in the overall number of Druids. Of course, this is not an indication of the meta overcoming the class’ oppression. A new month has begun, which usually encourages players to try out different stuff. 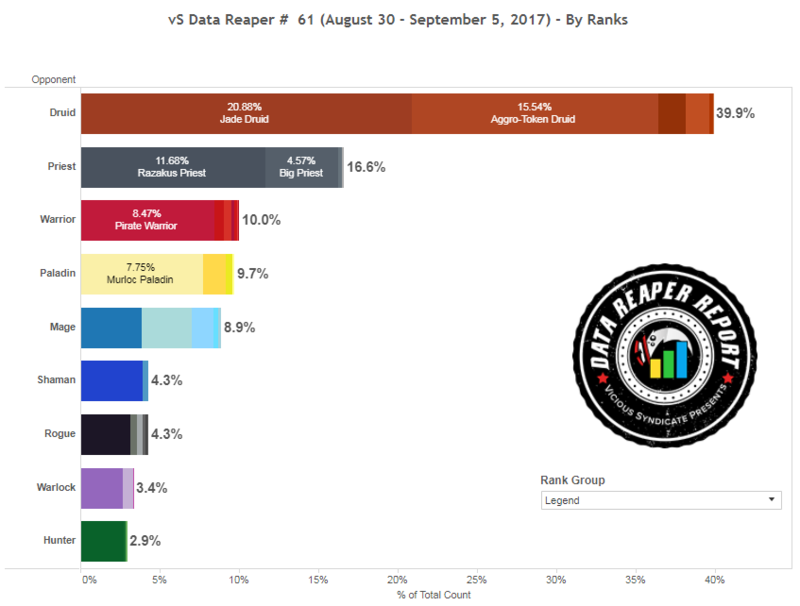 Druid’s numbers continued to increase at legend rank until the very last day of August. Priest has seen a bump in play across all levels. Razakus Priest has had an incredible performance at the EU Summer Playoffs, where it was dominating a meta in which Druid was permanently banned. 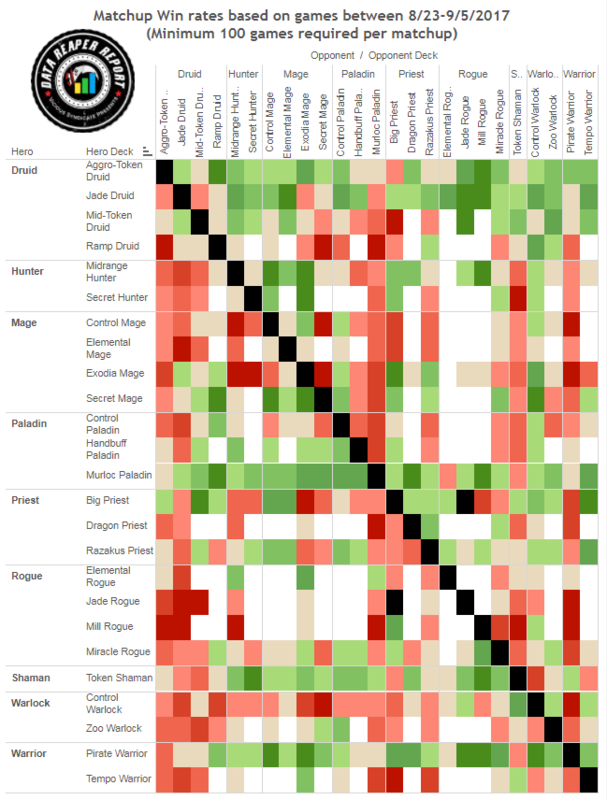 The archetype is also continuing to change while other decks have mostly stagnated in their card usage. It’s the only popular meta deck that is drastically different from its early iterations. Murloc Paladin has declined in play across all levels. 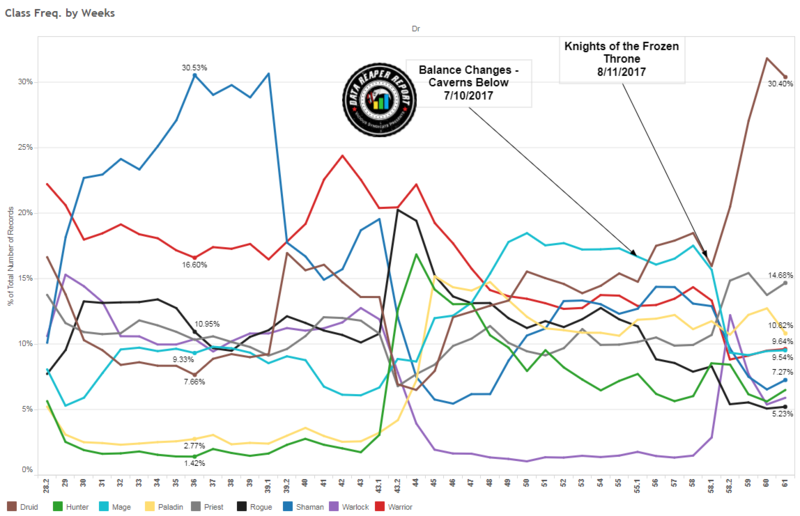 The deck looked very powerful in the early days of KFT, but has since begun to exhibit a ceiling in its potential at higher levels of play. Pirate Warrior has been largely unaffected. Mage continues to display quite a diverse set of strategies, but none of them have been taking off in terms of play rate. We’ll be honest here. 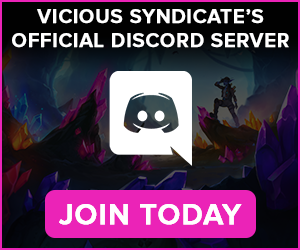 We’re pretty jaded when it comes to writing this report and analyzing trends in the meta and we’re aware this might be affecting the quality of the content. The reason is simple; there are barely any noticeable trends that make for compelling analysis. The KFT meta is more stale after a month than the Un’Goro meta was 4 months after its release. The bottom 4 classes perfectly illustrate this. Rogue, Shaman, Warlock and Hunter look lifeless. All of them have seen an uptick in play as a result of the beginning of the new month, but when it comes to the higher levels, they are actually continuing to decline in usage. 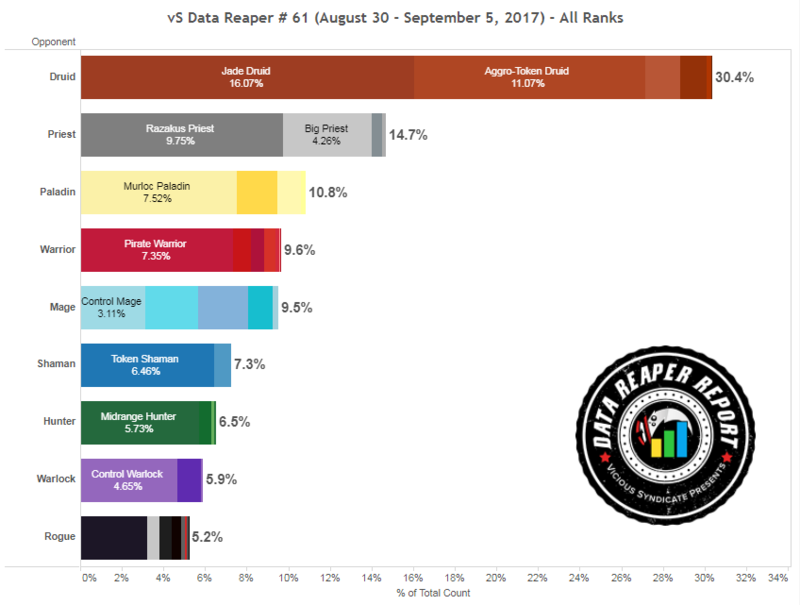 The meta at the top level of play continues to get more and more ruthless, and the win rates of the top meta decks, save for Jade Druid, are deflating as a result of the field becoming more competitive. Over the course of two weeks, Aggro-Token Druid has fallen from a position of dominance to one of trying to catch up to Jade Druid. This week’s fall has a lot to do with the decline of some of its prey, such as Murloc Paladin and Miracle Rogue. Pirate Warrior has also slightly dropped in its win rate for a similar reason: the aggressive decks are encountering less of the weaker decks that they generally farm. Razakus Priest continues to get slightly better every week, though it is still held back in terms of its ladder win rate. The archetype is quite difficult to optimize for ladder while still maintaining its consistency. In addition, Razakus Priest is also being heavily suppressed by the presence of Jade Druid. If you theoretically banned Jade Druid from ladder, this archetype’s win rate would be around the 52% mark (and we’re not accounting for the implication on the rest of the meta in the case of a Druid ban, which would further enable Priest). In the tournament scene, Razakus Priest is largely considered to be the second most powerful deck because of its flexibility, and the difficulty to effectively target it (in contrast to Pirate Warrior, for example, which can be crabbed and oozed). This is why some predict that Priest will be the strongest class in the game when the balance changes go live. Whether that will be the case or not, it’s difficult to tell. There are other notable declines in the performance of several archetypes. Token Shaman is crumbling at higher levels of play due to the increased presence of Priest. Mid-Token Druid is also falling off, which correlates with the decline in its usage. From experience, this is a typical pattern of a deck that could be strong in a vacuum but is abandoned due to its redundancy. Finally, while Control Mage has stabilized in its win rate, it has not taken off as much as we would have expected last week. The reason for its halt in progress is the increase in Priest play. Control Mage has a very difficult time dealing with Priest. What is going on with Elemental Rogue? It continues to impress and has even jumped in its performance this week despite being barely played. Looking at its matchup spread may provide a hint as to why it hasn’t taken off: It’s weak to Jade Druid, so even though it generally does well against the field, it struggles against the most influential deck in the current meta. Tier 4 is full of misery. Yes, some individuals may have a success story here and there with an off-meta deck. Yes, there is a chance that break-out builds come out of underperforming archetypes and change things. Is it likely? No. The player base has mostly given up. This meta has been ultimately infested to its rotten core. Druid numbers continue to hold strong at every rank, and the class seems to be an immovable object in the current meta, dominating at all levels of play. Aggro-Token Druid remains one of the only reliable soft counters to Jade Druid, establishing a strong presence as a result. Aggro-Token Druid hasn’t changed much either. We highly recommend the standard list shell, as it is stronger against Jade Druid and Priest. The crab tech, or a sprinkle of it, is only strong in pocket situations where you’re encountering far more pirates and murlocs. Other options include Bonemare, to give the deck a mid-late game boost, while we’re even seeing players running a Southsea Captain for that turn 3 2/2 Patches dream. Other Druid archetypes are still out there, albeit in smaller numbers. Muzzy piloted a Midrange Token Druid deck to a high legend finish in August. Unlike previous iterations of the archetype, this list runs Savage Roar, which gives the deck the ability to close out a game early. This build can do well against Jade Druid and the popular aggressive decks, which makes it a decent choice for ladder. Ramp Druid has fallen off, but one interesting development is Mana’s #15 legend peak with a build that’s quite different from standard lists, cutting Barnes and running Geist in order to be able to take Jade Druid into the late game (the archetype has had a difficulty blowing out Jade Druid since KFT launched). Priest has been one of the most prominent classes in Hearthstone since the release of Knights of the Frozen Throne, and for weeks now we’ve been alluding that it might only get better if the Druid class was weakened. Now that the balance changes have been announced, and not a single Priest card was touched, while every top tier deck was nerfed, many competitive players are already welcoming the future as Prieststone. There are two Razakus Priest builds currently populating higher levels of play with ample success behind them. The first is Findan’s #1 legend finish build, built around the concept of heavy cycle originally popularized by RDU. The second is StrifeCro’s build, with which he has been on a tear on ladder early this month. It cuts the Potion/Horror combo for Auchenai/Circle, and drops Velen for Skulking Geist, changing its approach towards the Jade Druid matchup. Normally, beating Jade Druid requires you to cycle as quickly as possible in order to burn down the Druid before his Jades get out of hand. 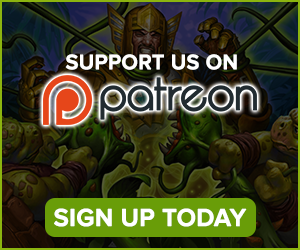 With this build, cycling into Geist is an alternative line that can enable you to use your hero power to run the Druid out of resources instead of targeting its life total. Big Priest could be just as scary Razakus after the balance changes, since it suffers much more at the hand of Pirate Warrior than its highlander counterpart. 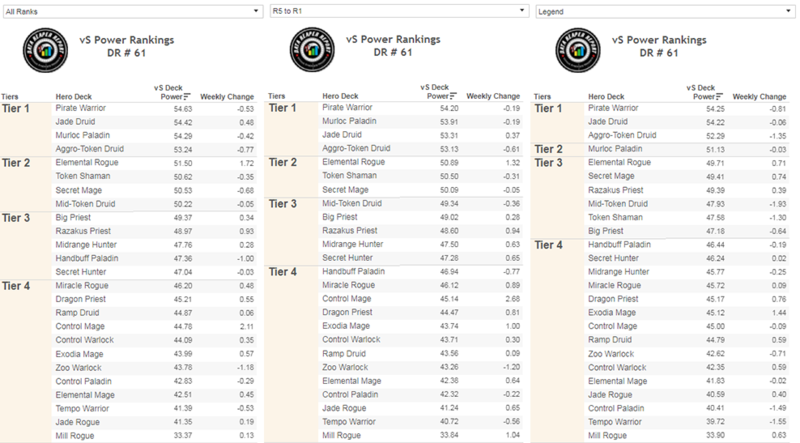 Even now, the archetype continues to see success at the top end of ladder, with multiple players placing well with it. In some wacky deck news, Emem took an aggro combo variant to a #18 legend peak last month. This build, which runs Lightwarden, Bittertide Hydra as well as the Divine Spirit/Inner Fire combo, will catch a lot of players offguard, as it is so different from anything Priest has ever run before. Perhaps, it’s a bit similar to Silence Priest in its beatdown playstyle. Murloc Paladin continues to be one of the top 4 win rate archetypes in Hearthstone. 7ack peaked at #3 legend towards the end of the season with Mitsuhide’s Stormwatcher build, dropping Golakka Crawler for Grimscale Chum. There is a hot debate regarding the merit of Stormwatcher and whether its synergy with Corpsetaker is worth including. We’re also seeing non-Corpsetaker builds being played, but they haven’t gained as much traction recently. One interesting option is running Cobalt Scalebane along with The Curator, which provides you with more longevity and improves the matchup against Priest. Stonehill Defender is another option to give the deck a bit more late game value. Control Paladin continues to flounder on ladder and is one of the primary victims of Jade Druid, but its miserable matchup against Razakus Priest and Murloc Paladin are nearly as crippling. The archetype is stuck between a rock and a hard place, as the ladder environment is extremely hostile towards it. Build it anti-aggro, and you get destroyed by Jade Druid and Priest. Try to fit in more late game value, and suddenly your matchups against aggressive decks turn dark red. In addition, the class lacks card draw that could push it in the direction of a consistent Beardo/Horsemen OTK. You may see this deck in tournament play, as the availability of a ban opens up some room for it to target specific matchups, but on ladder its success is a rarity. Handbuff Paladin is a viable ladder choice, but its power level is considerably lower than that of other options. It doesn’t actually seem to have any meaningful distinction in matchups from Murloc, which means it’s struggling to find a specific niche for ladder play that separates it in some way from the alternatives. The Pirate class is still going strong. Most of the builds remain the same as they’ve been since the beginning of the expansion, though double Spellbreakers is becoming standard over Phantom Freebooter. We’re seeing some players bringing back Leeroy Jenkins. The card was cut from most lists over the last couple of weeks, which means opponents are not playing around its reach, so it can catch people off guard. Leeroy’s weakness is that it’s a terrible card in your worst matchups, so consider including it over a Southsea Deckhand if you’re running into a lot of Priests and Jade Druids rather than token decks. Other Warrior decks are not really able to hang in the current meta. Taunt Warrior was quite successful in the EU playoffs, but should not be played on ladder. Banning Jade Druid allows it to target aggressive strategies, but its matchup with the green men is so horrendous that it’s nearly unplayable in a ladder environment. If you’re feeling particularly brave, you could try taking Dog’s Fatigue Control list for a spin or alternatively, Casie’s modified N’Zoth Warrior list. Dog hit #2 legend with his latest build just recently, and it does not contain Fiery War Axe! Make sure to stay away from the green men, though. 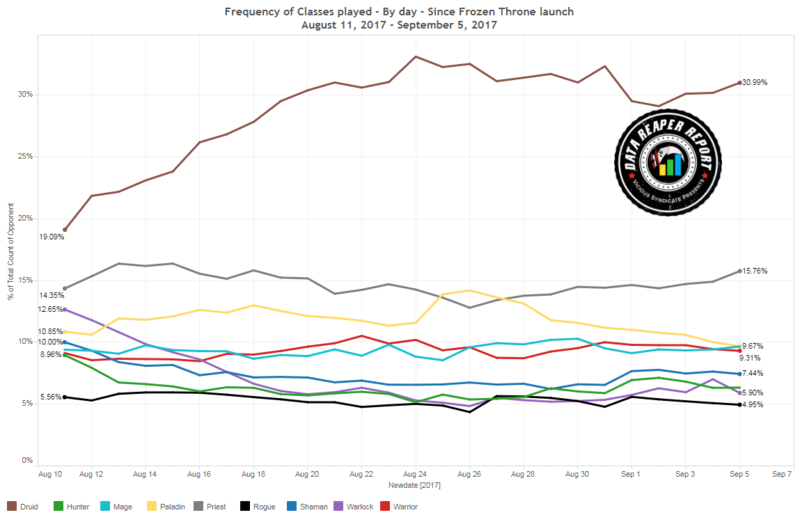 At the recent EU Summer Playoffs, Mage was the 5th most popular class. Interestingly, Mage is also the 5th most popular class on ladder over all ranks. However, there is a difference in archetypal preference, with Exodia Mage being Mage’s second most popular archetype on ladder whilst being nearly non-existent in the playoffs. The explanation for this is that Exodia Mage’s decent matchups are against Jade Druid and Razakus Priest, and neither of these decks were popular targets for line ups. Jade Druid was nearly permanently banned, while Priest was hard to target with Druid being permanently banned. The most popular archetype on ladder is Control Mage, which has seen a rise in play and performance recently. Zalae’s build includes Skulking Geist and a plethora of removal meant to run opponents out of resources, rather than just killing them with Alexstrasza into follow up burn. Though this line of play is still possible, the game plan gets heavily countered by any healing or armor gain, which is quite prevalent on ladder at the moment. So, the deck mostly outlasts opponents on the back of Frost Lich Jaina. The old Freeze Mage playstyle is barely ever seen. Monsanto also had high legend ladder success with a Control Mage build that runs two Dirty Rats, alongside Gluttonous Ooze. With the deck running many reactive tools, it can often comfortably pull a threat out the opponent’s hand and instantly deal with it. Gluttonous Ooze is an important tech against Pirate Warrior, as this matchup can be quite difficult without the ability to deal with the Warrior’s weapon based damage, considering that Control Mage doesn’t run any taunts. Blitzchung peaked at top 25 legend with Exodia Mage at the end of the month. As touched upon, the deck can do well with an abundance of slow Druids and Priests, though these matchups aren’t extremely favored. His list opts for one Cabalist’s Tome, a very slow card in a slow deck as it is, and also runs Simulacrum to speed up getting two Sorcerer’s Apprentices in hand. Coldlight Oracles are both efficient card draw for the deck’s style and have the potential to overdraw opponents’ hands. Shaman is a one deck class for another week. Boasting decent matchups against aggressive decks, Token Shaman is a moderately strong deck on ladder. However, it struggles to beat Jade Druid as well as Razakus Priest. The deck’s flex spot is mostly confined to tinkering with the number of Devolves and Saronite Chain Gang. Two Devolves are important in aggressive matchups, while Saronite Chain Gang curving into Thrall, Deathseer can steal games in your more difficult matchups. Until Jade Druid, the Meta Boogeyman, is nerfed, slower variants of Shaman will see no play. There is no incentive to play Control Jade Shaman for example, when Jade Druid does everything better and destroys it in the Jade race. Rogue remains rather oppressed on ladder at the moment. It is the least represented class across most ranks, while being marginally ahead of Hunter and Warlock at higher levels of play. Being marginally ahead of two classes that are almost dead on ladder, is not a good sign. But even at its darkest times, Rogue was often a popular tournament choice in previous metagames. In KFT, things look even worse for Rogue. It’s difficult to find a good reason to include Rogue in a tournament lineup, as it doesn’t seem to reliably beat any of the popular meta decks. It was the second least represented class with only five players bringing it to the EU playoffs, barely edging out Hunter at the bottom of the pile. Currently, Warlock is a stronger tournament class than Rogue. Things look so bleak that Rogue is reverting to memes. Dog played some of Nicholas Lord’s Combo Mill Rogue on stream, putting together an impressive run. Whether the deck will really stand up to a larger sample size remains to be seen. Warlock is one of the least represented classes in the game, and is another victim of the Druid infestation. The only new interesting build we have to share is the unique Mill Control Warlock from Sjoesie, with which he managed to peak near the #100 legend rank at the end of last season, following that up with a good climb in September after slightly modifying it. We’re featuring his latest build. The modification is cutting Brewmaster and Shadow Bolts for Gluttonous Ooze and Stonehill Defenders. Until the changes to Druid come through, it’s likely that Warlock will only be appropriate for specific tournament scenarios. Bring the class to ranked play at your own risk and understand that you are bringing a knife to a gun (or golem) fight. Only three players decided to bring Hunter to the EU Summer playoffs this weekend, and unsurprisingly, even in a Druid-free meta, the class underperformed. The balance changes could bring life to the class, as all of the top meta decks were nerfed to some degree. However, if Hunter doesn’t rise from the ashes now, it will end up being a dead class for a full year, starting from Mean Streets of Gadgetzan, the time when Patches entered the scene and made it obsolete. This is make or break time. 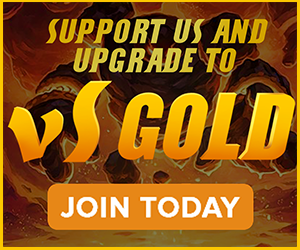 We highly recommend to start practicing and perfecting your play with Razakus Priest. Many players are already doing that in anticipation of the balance changes. Unless new counters to Priest are developed (which is very possible), the class is going to be as strong on ladder as it is in the tournament scene already. It is important to understand the flaws of the deck. Since it is highlander, it is very draw dependent. Getting to Raza and Anduin is absolutely crucial for the deck’s game plan, and sometimes it will lose to itself if one of these cards is buried at the bottom of the deck. In addition, its reactive tools are also situational, so the mulligan phase is extremely crucial when it comes to aggressive matchups. Only keep reactive cards if they provide a consistent answer to threats that you anticipate will get on the board. Keep Kazakus in every matchup. Keep Raza and Anduin in all but the most aggressive matchups. This deck is incredible when it has its power cards, and it’s an arena deck when it doesn’t. Always keep that in mind. Let the shadow reaping, begin. Special thanks to Leo G, Chungfr, Kognar, Aaron B, Jed M, Caleb G, Drew M, Alan J, lalasong, Eric L, Steve F, Batz, Jeffee83, Zolstar, and Pink Mage Diaries for supporting us for the month of August. Hi, good report as usual. In view of the many claims that matchmaking is rigged, I suggested in a thread on hearthpwn that you could perform a chi-squared test for each deck vs. each deck to see if the class chosen has an influence on opponent matchup, have you ever considered doing this to put the rumours about rigged matchmaking to bed once and for all (since you have such a large amount of data sorted by rank and class archetype)? I performed a chi-squared test on a small data sample using your class play rates as the expected results but with such a small set of sample data the test was nowhere near accurate. You have so much data this test would become increasingly reliable. Can you point me to the discussion in Hearthpwn? But the sample size is too small for the chi-squared test to apply. Note: I don’t think that the matchmaking system is rigged personally, I’m just looking at it in a statistical way. Are you really sure that Priest will see more play after the nerfs ? It seems to me that the big winners of the nerfs will be Rogue, Mage, and to a lesser extent Shaman. Contrary to what your post implied I beleive that fatigue warrior is favored against jade druid. It is a very difficult matchup to play, but when played correctly the fatigue warrior should win most of the time. Hard mull for geist and if you get it by turn 6 (you also play a fair amount of draw) you are in a pretty good spot, as you only have to really deal with a 1/1 up to 9/9 with 2-3 brawls and a handful of executes. However, for a player that casually sees the list and wants to try it out, it is very difficult – albeit this is true of literally every matchup with fatigue war. In summary, if played perfectly from both sides (an assumption that is reasonable to make when evaluating matchups in a vacuum), fatigue war is favored against jade druid.